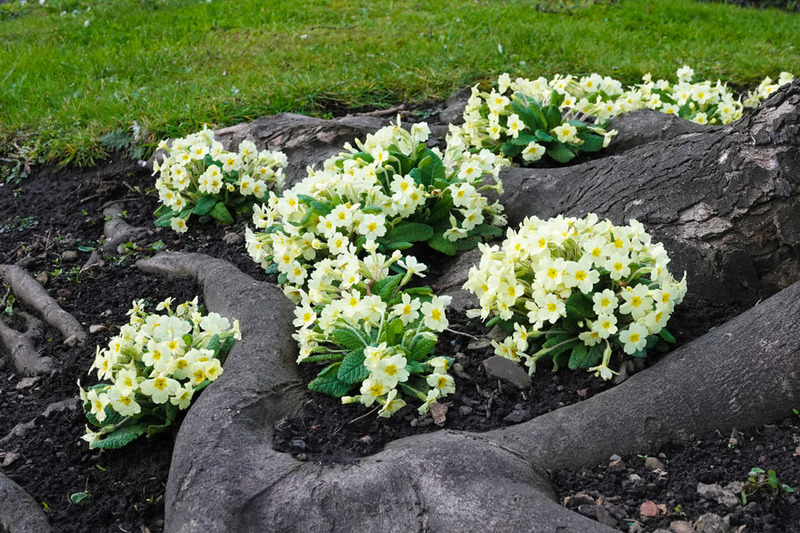 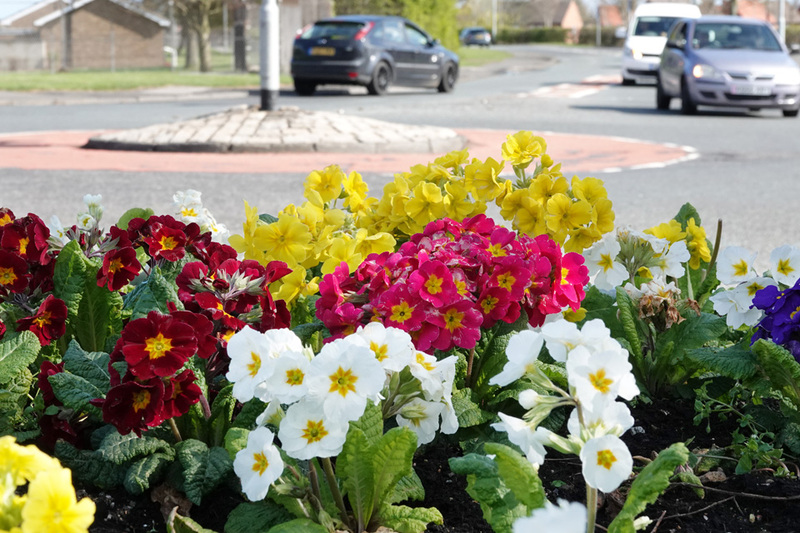 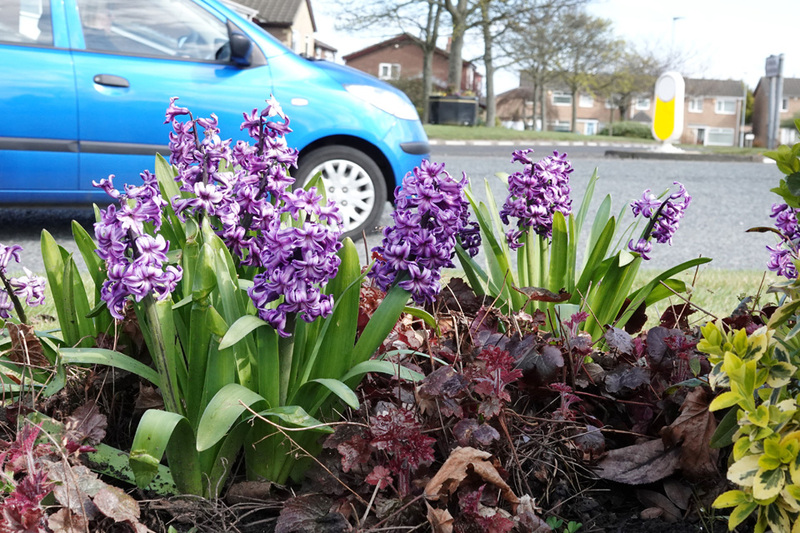 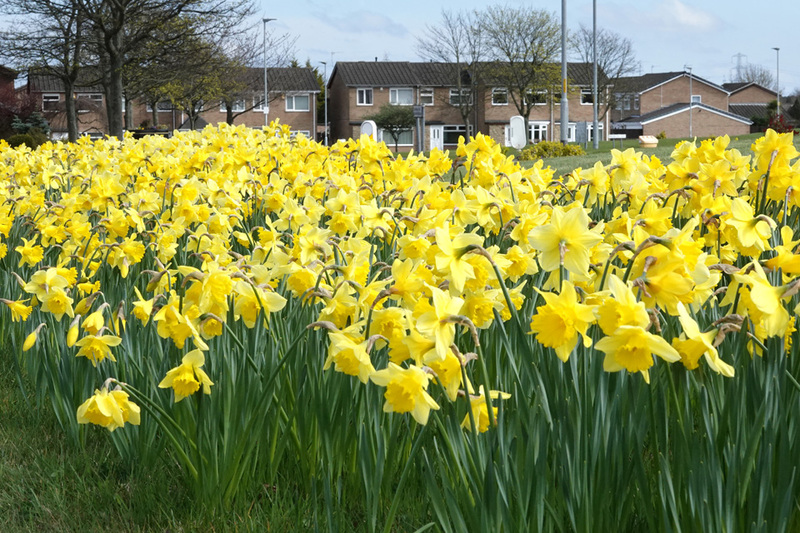 Let’s give a shout-out to all the staff from the Cramlington Town Council Partnership team whose planting work a few months ago has resulted in the fantastic display we can see now. 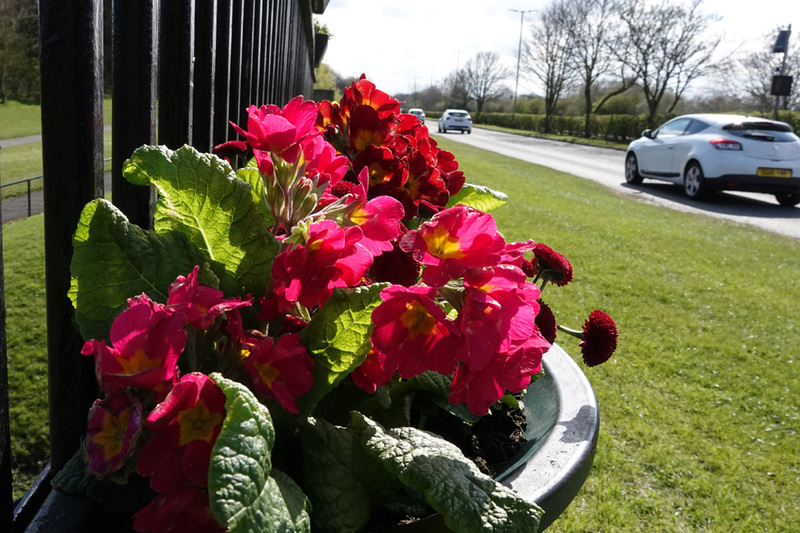 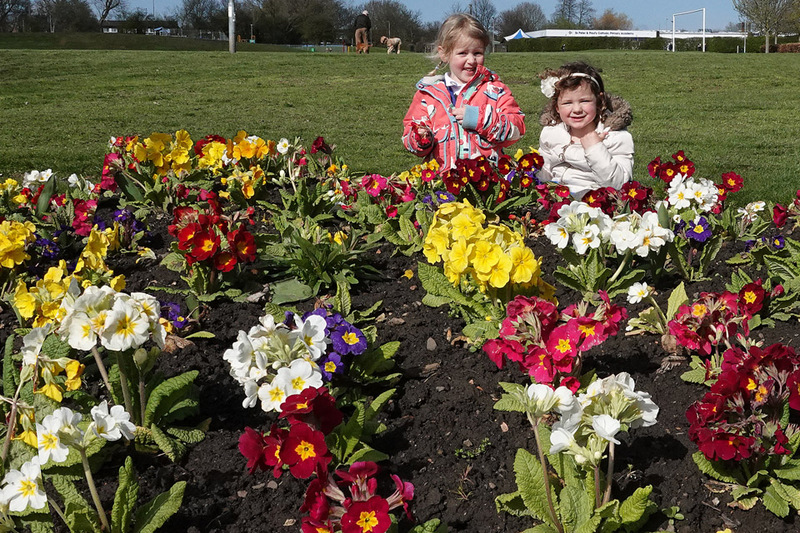 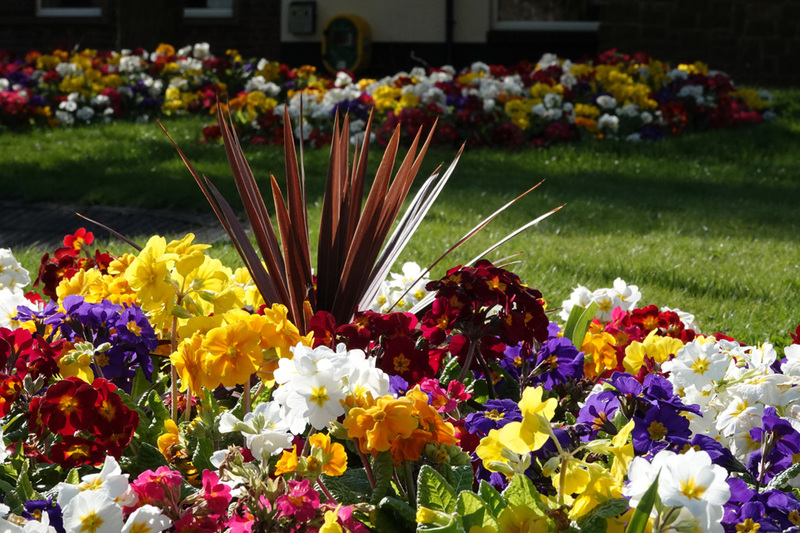 Seven thousand plants are blooming in beds across the town and providing a welcoming splash of colour. 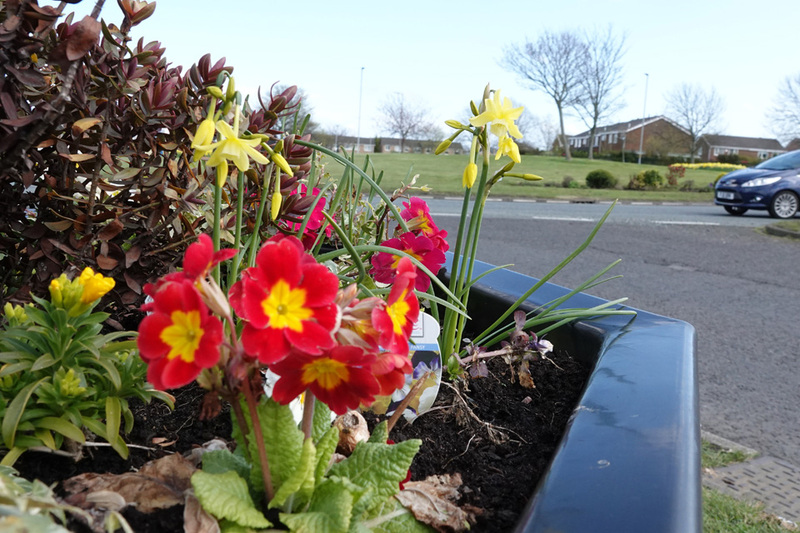 This and other environmental works are made possible by the Town Council’s support to the Cramlington Partnership. 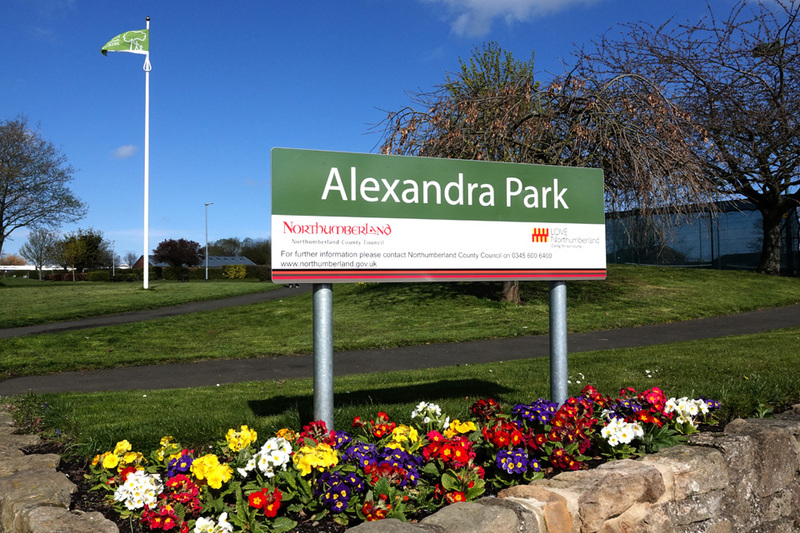 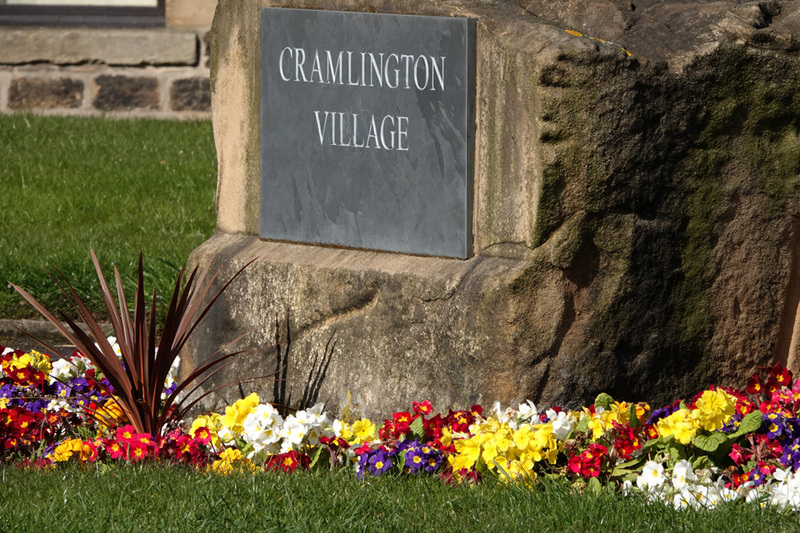 The Partnership was set up in 2014 and under this arrangement the Town Council pays the County Council for enhanced services in Cramlington. 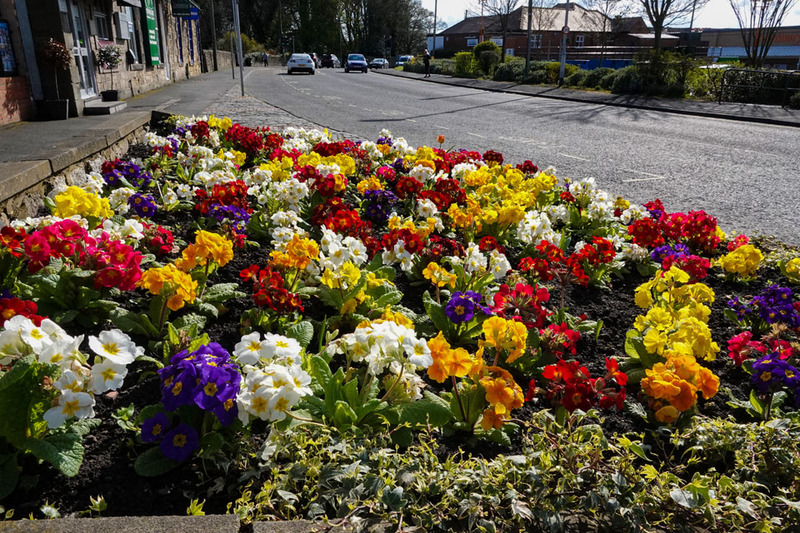 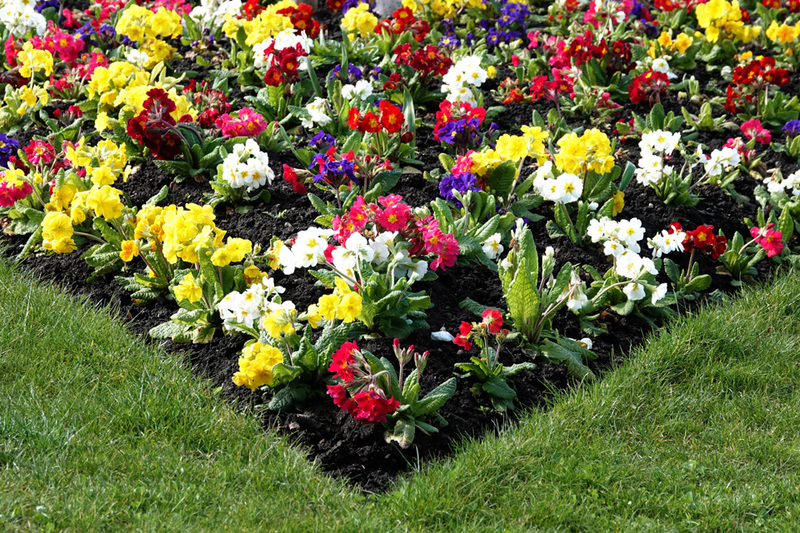 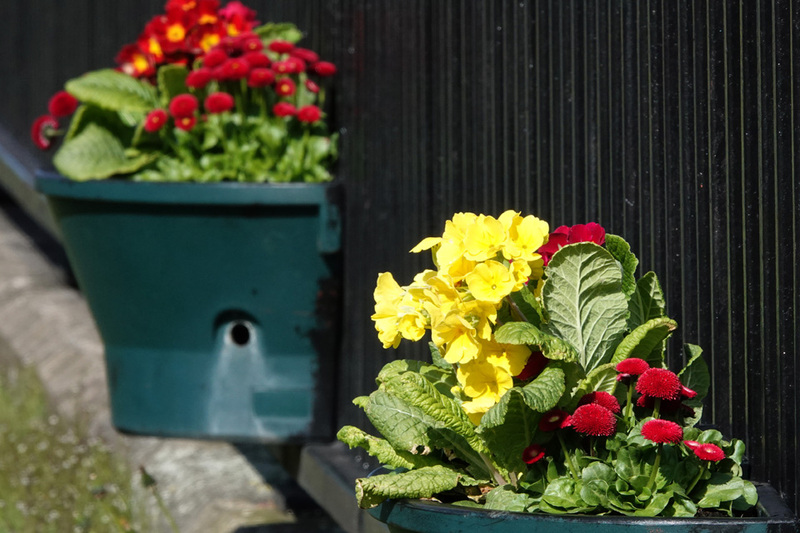 Our support pays for 10 full time workers engaged on grass cutting, litter collection, flower planting and other works to a level that would not be possible without the Town Council’s financial support. 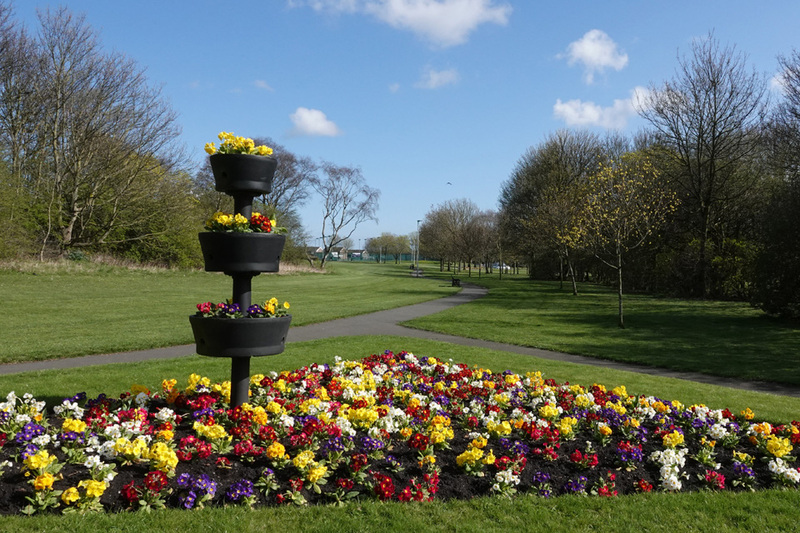 If you have an issue that the Partnership team can help with, don’t hesitate to contact us by telephone on 01670 707831, by email at services@cramlingtontowncouncil.gov.uk or message us on our Facebook page. 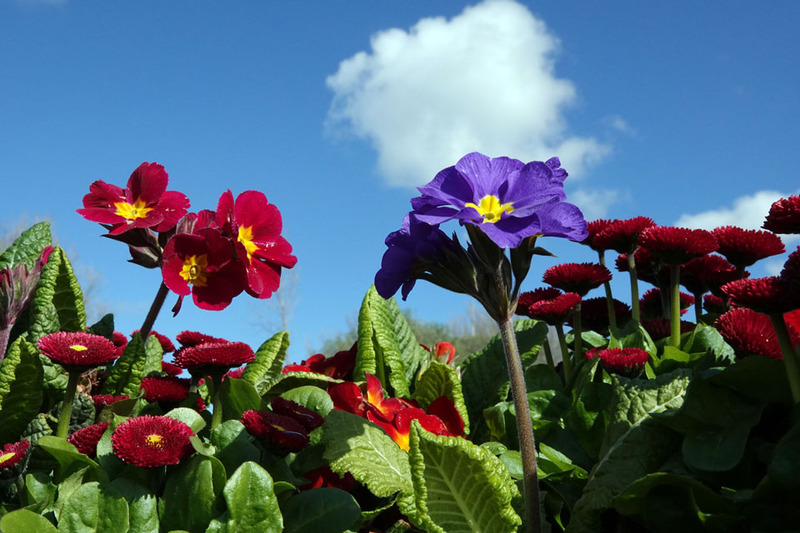 Pictured: Betsy and Rosie admire the blooms.